"A massive game is getting a massive film adaptation"
Adaptations of Assassin's Creed, Splinter Cell and Uncharted are in production and hoping to start the dawn of a video game movie renaissance. Another video game is getting the cinematic treatment, Shadow of the Colossus and The Hollywood Reporter have brought us news that Spanish director Andrés Muschietti is being approach to helm the project. 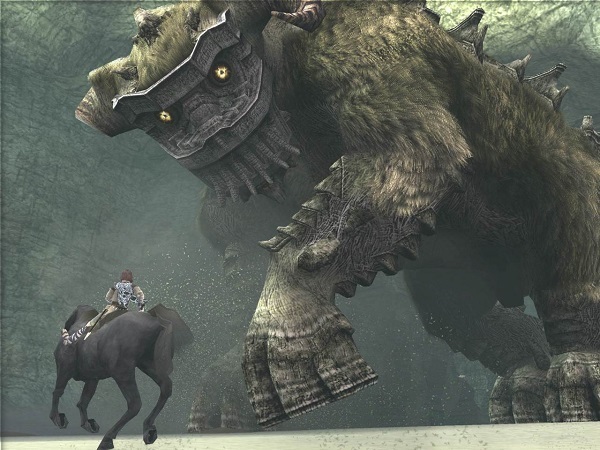 Shadow of the Colossus is considered one of the best games to come out on the Playstation 2, an action-adventure games that has been described by some as a puzzle game. Shadow of the Colossus tells the story of Wander, a young man who makes a deal with the demon Dormin to kill the sixteen Colossi monsters in the Forbidden Land in exchange for the resurrection of his girlfriend. A deal like that can only go well. Muschietti's only feature movie to date is the horror movie Mama which he adapted from his own short film. Mama starred Jessica Chastain and it was met with modest to positive reviews. Hanna writer Seth Lochhead is set to adapt the game. So gamers let us know what you think: would you be excited to see a Shadow of the Colossus movie or should it be left alone?